If you live in an area with a lot of burglaries or home invasions, a home security system is a good option for you. There are several types of home security systems, some of which have 24/7 monitored service, and others that are self-monitored and alert you via email or texts to your smartphone, tablet, or computer. A security system can be a major deterrent to thieves, and the financial investment is worth it compared to the possible losses you may face from a robbery. 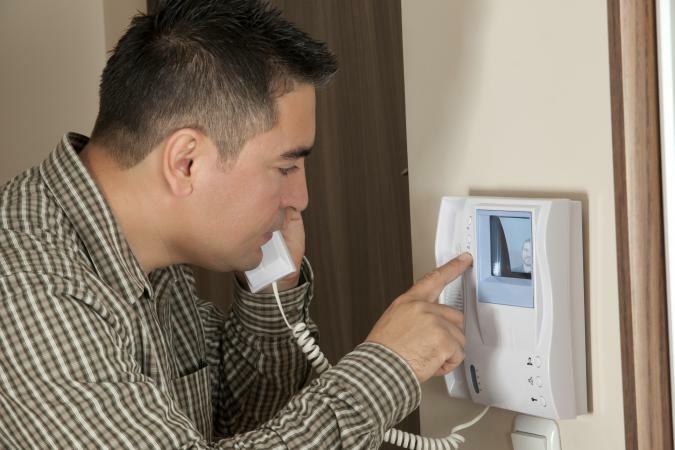 Consumer resource Safewise reports the average robbery is for sums over $2,000, and 60 percent of burglars surveyed said they would ignore a house with an alarm system. Approximately 7 percent of home burglaries involve some type of violent crime so if you're concerned about home invasions, a security system with signs and cameras in plain sight encourages criminals to stay away from your home. Another option people consider, either alone or paired with a security system, is having a dog. According to a survey of burglars by the University of North Carolina, there are two types of dogs that are a definite deterrent. Large breed dogs with a propensity for guarding, such as German Shepherds, Rottweilers, and Dobermans, can scare off a burglar, particularly if they are inside your home instead of your yard. Burglars also dislike smaller dogs with a tendency to bark as this noise can draw attention to their attempts to break in. Dogs that bark the most include Dachshunds, Chihuahuas, Beagles, and several small terrier breeds. If you do decide to use a dog for protection, make sure you have one that is properly trained and socialized. Most of all, realize the best dogs for this task are ones that are part of your family and are more than just a protection device. If you don't have time for proper care of a dog, this is not the best option for you. Businesses can also benefit from a professionally installed security system, particularly if they are in an area where the crime rate is high. Businesses that involve a high volume of cash transactions and those that deal with high-end goods are especially good candidates for a security system with 24/7 monitoring. While all businesses in high-crime areas can benefit from a monitored security system, in some cases you may need to couple this with security guards or other forms of protection. Consider what the policy in your city or county is for police response to alarm calls. Some departments will not respond right away to calls from an alarm service, and some may have a policy of not responding at all due to too many false alarm calls. In this case, hiring a security guard service is an extra level of protection. According to the Houston Chronicle, security guards are a good option for private businesses worried about crime, as well as for public and government buildings and transport buildings concerned about not only criminal activity but possible terrorist threats. Uniformed security guards are also an effective visual deterrent in these situations. Security guard services vary and may provide guards who stay constantly at the property or who visit the property at intervals or respond immediately to notifications from your alarm system. They may also be armed or unarmed depending on your needs and may have additional specialized training. 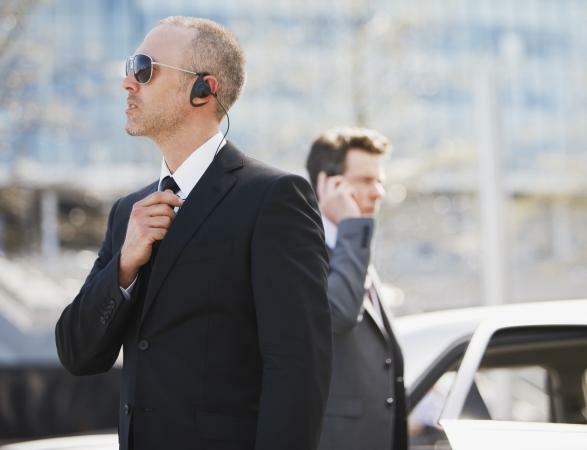 If you are a "high profile" individual, such as a celebrity, politician, or a wealthy person, you may feel the need to have a personal bodyguard. People in this group tend to be targets for overzealous fans, thieves, and individuals who wish to hurt them physically. In this scenario, a personal bodyguard service is a smart choice. A personal bodyguard is trained to be situationally aware and identify immediate threats. They can get you quickly to safety and, if they are clearly present and identifiable, can deter criminals and stalkers from attacking you. A personal guard may also have weapons and other specialized training and will take necessary action to protect you if you are attacked. Having a personal protection dog trained that travels with you is also an effective visual deterrent, especially since the dogs most often trained for this service are large, intimidating breeds. These dogs work best for people who feel they are personally at risk for the same reasons they might hire a bodyguard and who prefer a canine companion, or they may use a dog in conjunction with other protection services. 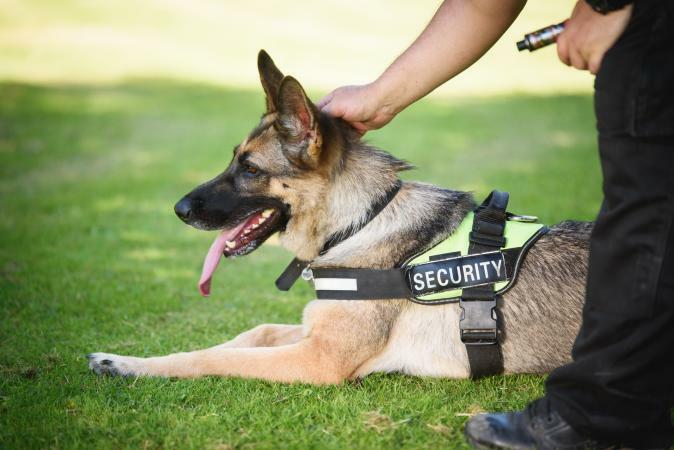 The drawback to a personal protection dog is they come with considerable expense and may cost as much as thousands of dollars due to their high level of training and breeding. You also may not be able to take them with you everywhere you go. Under the American with Disabilities Act, they are not considered service dogs and do not have the same access rights. If your business needs to move cash deposits to a bank or ship expensive items, such as jewelry, electronics, or even sensitive materials like pharmaceuticals, then you may need additional security systems. For example, fundraising events that bring in cash donations may need protection when transporting their end-of-event donations to a bank. In this instance, you can hire a security guard service on a short-term basis to stay with staff during the trip to the bank until the funds are secure. You can also hire them to travel with goods during transport or provide guards in patrol cars to monitor the car or truck making the delivery. Another option in this scenario could be an armed transport service, which will transport the money or products for you. An example of a well-known national armed transport service is Brinks, which protects businesses and organizations that need to move cash and other high-risk items securely. If someone has threatened your safety or your life, or if you have a stalker, you may find it necessary for peace of mind and safety to hire a personal bodyguard. For example, if you have filed a restraining order against someone, but they are disregarding it, a bodyguard may be beneficial. Likewise, if you are a witness in a high-profile court case and feel unsafe, a bodyguard may be a wise choice. In these scenarios, a personal bodyguard service that stays with you 24/7 is a safe option. You may also want to hire a security guard service to patrol your property and keep an eye out for prowlers. Some home security systems also provide options, such as two-way video on doorbells, which you may find useful. These doorbells have a camera where you can see the person outside your door and even if you are not home, you can use a smartphone or tablet to monitor your doorbell. You can see the video clearly at night, as well, and have a conversation with the visitor remotely without ever having to open your door. Vivant Smart Home is one type of system that provides this option. Your reasons for needing a service directly affects the choice of protection and security you choose. Budget is also a strong consideration. Services can start as low as $25 per hour or may cost upwards of $1,500 per day or more, depending on services and training. If you need help to make this important decision, check with your local police department for advice, as well as the Association for Threat Assessment Professionals which provides a directory of individuals with expertise on how to keep people at risk safe.